We use the Showtime TV series about Henry VIII, The Tudors, to extract lessons about what it means to be a leader vs manager vs coach (also knows as a teacher or a guide). You don't have to be a fan of The Tudors or a history buff to appreciate the lessons they teach on what it means to be a leader, a manager or a coach. What better way to learn about these important roles than peruse history with the help of an entertaining TV show? 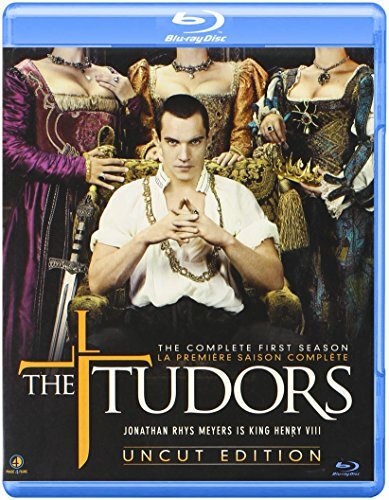 The Tudors, which won many critical acclaims, also caused some controversy not only for taking liberty with historical facts but also for its somewhat raw depiction of romance and violence. However, I feel that its lessons for the business world are priceless. Don't forget to participate in the polls, even if you are not certain of the answers. They are intended to improve your reading experience and those of other readers. Thank you for the visit! Are they different or similar? The term "business coach" most likely comes from the world of sports. However, you may agree that today's knowledge-work, even in a non-business setting, does not have much to do with sports. Sports is very much about actions. Business performance is less about actions and more about aligned action. Aligned action happens when a person's intentions, strategies, tactics and even emotions and energies are harmonized. Such actions are effortless yet potent. A teacher, a coach or a guide helps a person come in touch with her deepest essence which then drives her thinking, feeling and acting, often unlocking her latent energies towards effortless action. Throughout this article, I have used the terms "coach" and "teacher" interchangeably. What is a Teacher's Most Valuable Possession? Wisdom is perhaps a teacher's most prized possession. 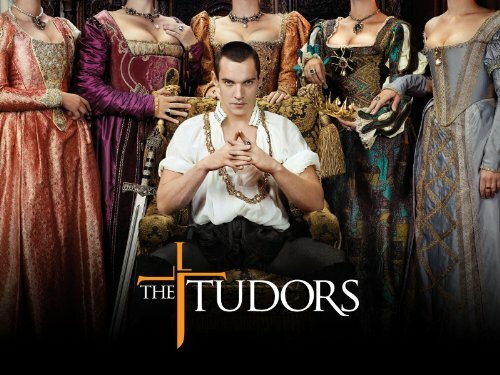 All you wanted to know about The Tudors, the Television series. Get to know the characters, download episodes and more. In the TV Series, the Tudors? The correct answer is William Somers, who was Henry's court jest and was also known as his Fool. Henry made many ill-advised decisions. His rule of terror included the beheading of thousands of people including some of his closest advisers and two of his wives. He may not be considered a good leader, but Henry was a leader nevertheless. Henry, unlike his father Henry VII, was not a hands-on leader. He did not like to micro-manage people. So he appointed others to carry out the day-to-day duties of running his kingdom. A good leader recognizes that he is not a good manager and appoints others to do that job. The king had a lot going for him. The people of England adored their king, at least in his early reign, just as the people of the world adore the British royalty today. He had a good idea of England's challenges. He had a vision, part of which was an England that was independent from the Catholic Church. He was able to "sell" that vision to his court and the people of England, albeit often with force and fear. And he skillfully employed his resources to achieve that vision. Leaders are reformers. If they see a vision that they feel must be attained, they will find a path to get there. England's disassociation from the Catholic Church was an unthinkable act at the time. Although much of written history tells us that he did it simply to divorce his first wife and marry the second one, the real reasons were much more complicated and included economic motives. A good leader would use more inspiration and less fear in leading people. Henry used mostly fear and little inspiration. Henry's techniques seem cruel by today's standards. However, at a closer examination, you may realize that much of today's corporate leadership is not that different from Henry's. The primary motivation of today's worker is the paycheck, the loss of which is implicit in today's management practices, much of which were carried over from the Industrial Age. The fear of losing livelihood remains a primary motive for an employee to show up at work. A good leader would help an employee move beyond her basic needs and tap into her higher motives such as inspiration, creative expression and passion. Because he was a cardinal, you may argue that a part of Thomas Wolsey's job was to be a counsel to the King and be a source of wisdom. However, he became the king's manager (he ultimately became Lord Chancellor), unburdening Henry with the day-to-day duties of running the kingdom. In the The Tudors, Wolsey commits suicide, a fact which is unsupported by historical records. 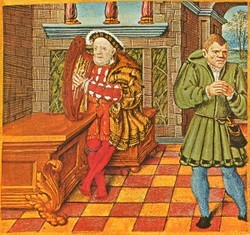 Long before his death, the Cardinal had let Henry down, who chose a new manager to carry out Wolsey's job. When Wolsey fell out of favor with Henry, the King appointed Thomas Cromwell as his manager (his official title was Chief Minister). Cromwell was instrumental in helping the King attain separation from the church. He did his job ably and skillfully but ultimately fell out of the king's favor and was executed. For his last manager, the King chose an idealist in Thomas Moore (appointed Lord Chancellor). Until that appointment, Thomas Moore was a source of great wisdom and wise counsel to the king. Moore was a teacher at heart. He had an ideology, humanism, that he firmly believed in. (He coined the word "Utopia" and wrote a book by that name.) In the end, Moore was unable to shake his convictions and do what his job required. One more time, the King had to order the unpleasant task of beheading a close friend and a counsel. In the end, Henry ended up carrying much of the workload of his dead managers and, later in life, regretted letting them go. Henry finally got his wish for a son to succeed him on the throne: Jane Seymour, his third wife, gave birth to a boy, Edward. Unfortunately, Jane died after a few weeks' illness. Henry was inconsolable. As he mourned the death of his beloved wife, no one was allowed to visit with him, except one person. William Sommers, the court jest, the Fool as he was known, became his constant companion during the time of mourning. The ruthless King, who would not answer to anyone, including the Pope, sought approval from only one person: Will Somers. This despite the fact that Will Somers recounted Henry's sins to him, ridiculed his plans to build castles, questioned his legacy, reminded him of his mortality and told him that it was the King who was a fool. Ultimately, the King's Fool was his only true counsel, teacher and guide. He was wise enough to not only tell the King what he did not want to hear, but also managed to keep his head attached to his body. Henry's Fool was one of the few people close to him who outlived him. After Henry's death, the Fool lived on to serve in the courts of Edward, Mary and Elizabeth, the subsequent rulers of England. This article has a quiz that helps you figure out if you are predominantly a leader or a manager and tabulates traits and qualities that make leaders different from managers. It also highlights key similarities and differences between leaders and managers. A high performing organization consists of highly productive people who are deeply engaged with their work. This article examines the importance of awareness in such organizations. Most adults develop 7 beliefs about teaching and learning that become barriers to their professional growth and development. Presented are these beliefs and their corrections. The TV series Star Trek, the Next Generation is used to demonstrate key lessons about what it means to be a leader vs manager vs coach (sometimes known as a teacher or a guide). We will be happy to get you one! At Awayre Business Coaching (ABC), we help you come in touch with your deepest essence so that you can allow it to permeate through your entire business organization. At ABC, you become a better business builder the only way it counts - by building one. katiem2, The makers of the show have done an amazing job getting many of the details correct. Where they depart from history, it's intentional, I think. There is an incredible depth in the dynamics of these characters, which is what captivated me. This period is my favorite English period too, all way up to the rule of Elizabeth. How thrilling I love this period, I had not heard of the Tudors, I think I'm a fan just having watched the trailers. Ewww the King is a bad boy, such a handsome character playing the role. I'm def going to catch this on the telly. There is much wisdom he must absorb. Great read, thanks for bringing the tudors and the lessons of manager, coach and on and on to us. What an interesting analysis of the lessons in The Tudors. History is important because it can teach us about today, as you have so clearly shown. Particularly fascinating to see The Fool come out as the survivor and success story.